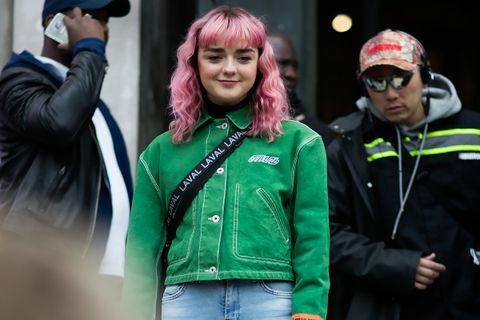 Maisie Williams, best known for her role as Arya Stark on Game of Thrones, has just launched LDN Creates, a competition that will link London-based aspiring creatives with influentials at the top of their game and give them the chance to work on existing, creative projects. 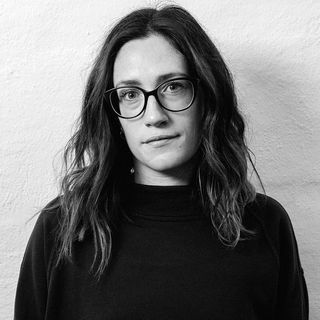 The new campaign serves as part of Willams’ new platform, Daisie, a company that aims to democratize the creative industry by eliminating its nepotistic pitfalls. Set to launch globally this May, Daisie will be a space for artists from all disciplines and experience levels to connect and collaborate with one another. 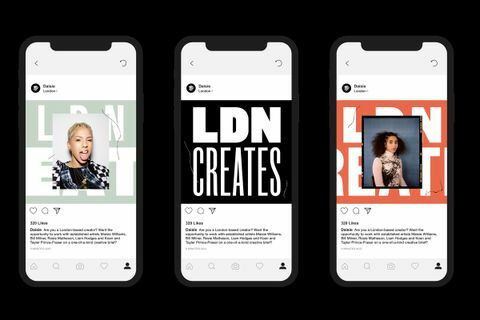 LDN Creates is a competition that aims to really kick start that process. From today, April 6, aspiring artists living in the UK are invited to submit their work via Daisie’s website. 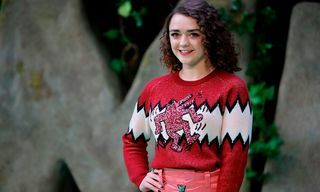 If selected, they will then have the opportunity to work with established industry insiders Bill Milner, Rosie Matheson, Liam Hodges, Koen & Tayler Prince-Fraser, and Williams herself, on a range of different projects. 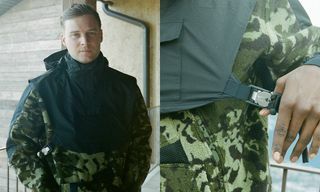 Ahead of LDN Creates’ launch, Highsnobiety caught up with Williams to discuss the competition, how we can make the creative industry more accessible, and the importance of collaboration. Keep scrolling to find out what she had to say. Why did you decide to launch Daisie? The “It’s Who You Know and Not What You Know” notion with the industry is something I’m really familiar with. I was given such a great opportunity when I was really young and I’ve met so many amazing people that I could call upon for creative projects. 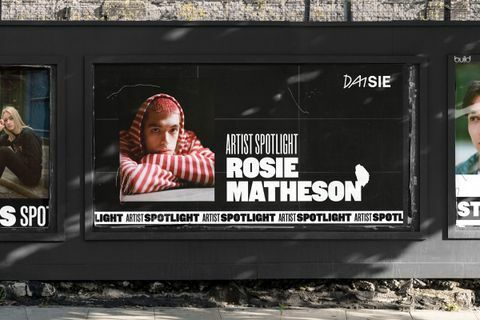 I thought that something like that should exist for other people and that’s how the idea of Daisie came about — connecting up-and-coming creatives with other up-and-coming talented people. And that idea can work across the board, so even if you’re at the top of your game you can use Daisie to reach out to others in your field. It was something that was definitely needed, but it wasn’t until I met co-founder Dom Santry that I realized this was something that I could create rather than waiting around for someone else to do it. On Daisie people will be able to discover others in their area who are working on amazing things. 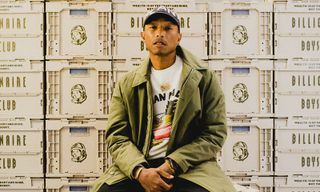 At university, it’s easy to forget that the people around you are the ones who are going to be the next big thing, and to actually make those connections and collaborate. But if you don’t go to university, then maybe you don’t have that sort of pool or network. So it’s about breaking down the barrier and letting people call upon one another, and create work and success for themselves. 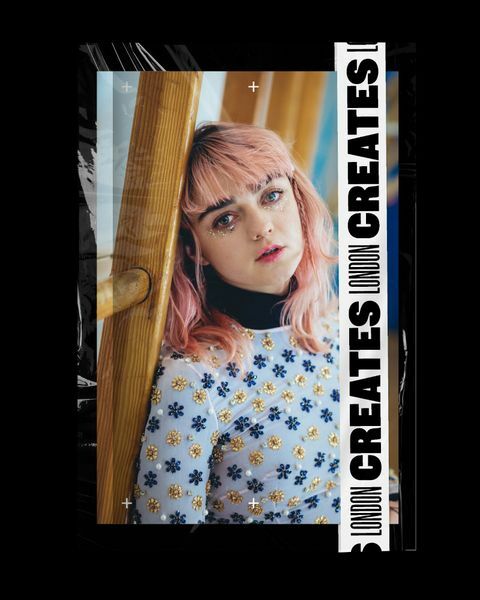 What is LDN Creates and why are you targeting London first? Although Daisie is available for everyone, it’s all about the community. So for us, targeting London with this campaign was really important — that’s where we want this community to really thrive first and foremost because that’s where we all started our own careers. We had an amazing reaction to our Daisie 100 exhibition last year and we wanted to recreate something like that, but to step it up a level. Rather than getting people to submit and become part of the platform, we wanted to give the opportunity to actually create something really special within the creative industries, working with people who have “been there, done that,” and now want to give back to emerging artists. For us, LND Creates is a way of giving creatives platform, but also to show that Daisie can really help people. Is there a way that you can follow a person’s collaborative journey on the site? Yeah, you’ll be able to see people’s networks and their chain, the people they’ve connected and collaborated with, kind of the same way IMDb works. If you see a specific project you really like, you can go through and see who worked on it. Also, as well as showing your work and calling out for collaborations, or you can submit yourself, or refer a friend if you think that’s something they should be a part of. Why did you choose to not show follower counts on Daisie? We wanted to reward people without doing something that felt quite toxic. Daisie is more about your qualifications and reputation, as that’s something that really gets you far in the industry anyway — how reliable you are and how nice you are to work with. On the app, the focus is more about your contribution, the people you work with who are outside of your circle, the amount of feedback you give to other people, the people you recommend for other jobs. Basically, we wanted to reward people based on their amount of input and how hard they work, because that’s something we feel should really be rewarded. LDN Creates is live now. Submit your work here.